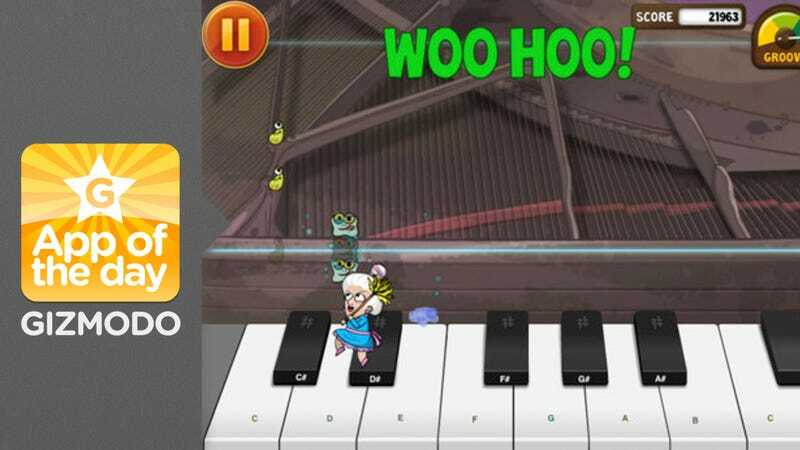 This is an app for every poor child who ever had to suffer through piano lessons only to learn a shoddy version of "Chopsticks," and every pitiable parent who had to endure listening, there's an app called Piano Dust Buster that makes learning to tickle the ivories a little less painful and a lot more fun. It teaches you how to conquer your Steinway at the beginner level, schooling you on note names and explaining rhythm and other skills. It works along with your personal instrument, but if you don't have your own baby grand, you can play on its 3D keyboard on the iPad. Piano Dust Buster, though meant for kids, works for adults too. It has little games that trick you into practicing. It comes with about two dozen songs for you to try and takes requests of ones you want added. It's free for now, so even if you're a little rusty, you could afford to practice your musical chops.